Justice Katju’s statement has been successful in re-igniting the debate that has long been overdue, suppressed by the stakeholders against the cause. Several jurists have, in fact, backed his revelations regarding the conduct of three former Chief Justices of India, CJIs Justice Lahoti, Justice Sabharwal and Justice K.G. Balakrishnan in granting extension and confirming a corrupt judge. Former Supreme Court Judge Ruma Pal, is the latest supporter of the allegations, backing the statements. She was actually a part of the three-member collegium that refused to give an extension to a "corrupt" Madras High Court Judge. Hence, her confirmation in a way proves the credentials of the allegations that the Judge in question was indeed found to be corrupt and that the UPA government had leaned on the then Chief Justice of India R.C. Lahoti to give the judge an extension. Her comment would also work as the much needed sway to Katju’s side, when a considerable section of the judiciary has challenged Katju’s motive in revealing the matter at a time when the former additional judge is dead and five CJIs have retired. Expressing concern over the timing of the revelations, former Supreme Court Judge, G.N. Ray stated, "I don't know whether this is correct but the whole matter is very unfortunate. It's a very old matter and need not have been raked up now. So far as Justice Lahoti goes, I know him personally. He could have done no wrong." When asked about why he waited for 10 years to voice the allegations, Katju insisted on NDTV that the “question is not why I did not make this disclosure earlier, the question is whether what I’m saying is correct or not.” When the interviewer pressed for an explanation about his timing, he pulled out his earpiece and ended the interview. It has also come to light that in a note in May 2005, the Prime Minister's Office wrote to the collegium of Supreme Court judges backing the confirmation of a judge of the Madras High Court. The judges however, did not succumb to the pressure. Then Law Minister H.R. Bhardwaj then intervened and wrote again to them making it clear that the government backed the judge. The Chief Justice of India RC Lahoti then cleared an extension of the judge in question, but did not confirm him. In a note, he attributed his decision to "the sensitivity of the government on the issue." Dr Singh today said, "The then law minister has spoken - said what he had to - I have nothing to add." Former law minister H.R. Bhardwaj admitted that a District Judge, who was appointed as additional judge of Madras high court in 2003 and was later confirmed despite adverse intelligence reports, had significant political backing. 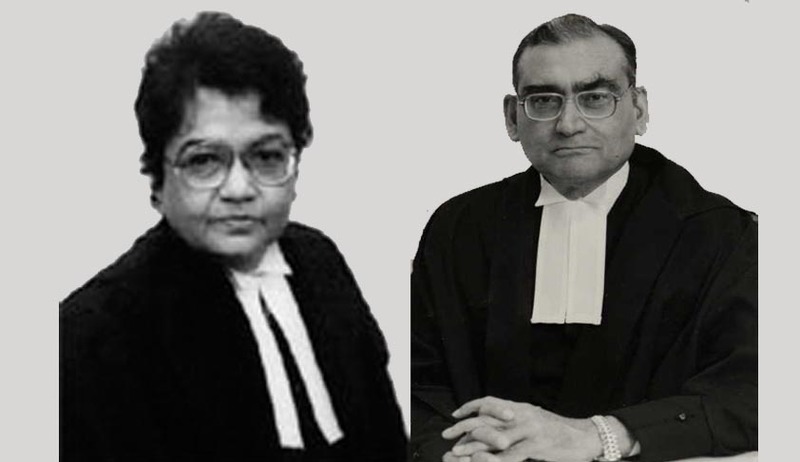 However, Bhardwaj, who was law minister when the controversial judge was given extensions and later made permanent, denied Justice Markandey Katju’s claim that the judge got a seat on the bench because UPA government succumbed to the pressure from an important ally. As Bhardwaj revealed that besides the UPA partner, a group of scheduled caste/scheduled tribe MPs also lobbied the government for the controversial judge, he stated, “There is no control over judiciary … Records will bear out that judiciary is fully insulated,”. Justice Lahoti told NDTV, "Everything is a matter of record. I have never done anything wrong in my life." While Justice Balakrishnan, the current chairman of the National Human Rights Commission said that the judge's confirmation was cleared by the Chief Justice of the Madras High Court, but he did what he could. "There were allegations that this judge was close to the ruling party (the DMK) ...so I transferred him to Andhra Pradesh," he stated. In continuation of the allegations, Justice Katju yesterday posted Six questions to Justice Lahoti in his blog. Read the questions here. Justice Lahoti however, denied the allegations and said “” I don’t believe in stooping to anyone’s level. Look up the records for yourself and see for yourself. I have not done anything wrong “. Justice Katju had, in clear parlance specified the political pressure. He had stated, “The Judge had the solid support of a very important political leader of Tamil Nadu. I was told that this was because while a District Judge he granted bail to that political leader…The Central Government at that time was the UPA Government. The Congress was no doubt the largest party in this alliance, but it did not have a majority in the Lok Sabha, and was dependent on support by its allies. One of such ally was the party in Tamil Nadu which was backing this corrupt Judge. On coming to know of the recommendation of the 3 Judge Supreme Court Collegium they strongly objected to it….At the Delhi airport he was told by the Ministers of that party of Tamil Nadu ( who were Congress allies ) that by the time he returns from New York his government would have fallen as that Tamil Nadu party would withdraw support to the UPA ( for not continuing that Additional judge ).On hearing this Manmohan Singh panicked, but he was told by a senior Congress minister not to worry, and he would manage everything. That Minister then went to Justice Lahoti and told him there would be a crisis if that Additional Judge of Tamil Nadu was discontinued. On hearing this Justice Lahoti sent a letter to the Government of India to give another term of 1 year as additional Judge to that corrupt Judge.” Read the complete text of the allegations here. Also read, Judgment in Shanti Bhushan and Another Vs Union of India (2007) echoes Justice Katju’s allegations.